Some of the criticisms levelled at last year’s Nexus smartphone was the lack of memory expansion and not being able to connect to 4G networks, but now a rumour is suggesting that a new Nexus 4 LTE release is set to raise the price of the Nexus 5 for 2013. We recently heard of some rumours regarding the pricing for the Nexus 5 that is due to be launched at anytime now, but now there are new claims from a source reportedly close to Google who has stated the Nexus 5 will be more expensive than last year’s model. 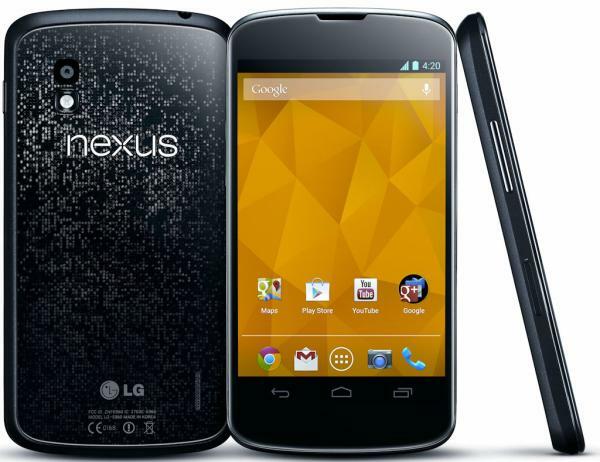 The 16GB model will allegedly cost $399 on the Google Play Store while the 32GB model will be set at $449, and this higher price is being put down to the fact that Google will also be launching an LTE version of the Nexus 4 at the same time. Besides the LTE compatibility the only other differences from the current Nexus 4 will be the internal storage that will now come in at 16GB or 32GB, and these will be priced at $299 for the 16GB version going up to $349 for 32GB. There won’t be many changes needed for the Nexus 4 if this rumour is accurate as the Qualcomm Snapdragon S4 Pro processor already has a 4G LTE chip, and there was a way for owners to enable this feature until the Android 4.2.2 update came along and put an end to it. This could possibly mean that once the Android 4.4 KitKat update arrives for the current Nexus 4 it could re-enable the feature so owners may be able to take advantage of it. A recent manual was leaked for the Nexus 5 that had the specs down to include a 5-inch Full HD display powered by the quad core Qualcomm Snapdragon 800 processor with 2GB of RAM. Of course this latest rumour needs to be taken as it is and until we get to hear some official news from Google we won’t know for sure how accurate it is. Would you like a Nexus 4 with LTE? Sell it and buy a Nexus 5. It will have all the LTE you will need and will be priced close to the Nexus 4. This article is complete hogwash. There will be no “Nexus 4 LTE” . Google only releases one model per year, to influence design. The Nexus 5 is this year’s Nexus phone, there will be no others. It’s unlocked, has multiple LTE bands, CDMA, HSPA+ is 4.96″ with full HD 1080p, 2GB RAM, 8PM OIS camera and comes with Snapdragon 800. PLUS, it’s a hair smaller than the Nexus 4. Yeah, they packed a 4.96″ 1080p display into a case a hair smaller than last year’s 4.7″ 720 Nexus 4. And it will be PRICED close to last year’s Nexus 4. If they re-released a Nexus 4, even with LTE, it would LOSE in all the benchmark tests as CPUs have moved on. Google is not going to do something stupid like that. They have a winner with the LG G2-based Nexus 5 — and they will be going full throttle with that. Google looks forward, they don’t look back. There will not be a “runner up” Nexus, it will only be the gen5 Nexus 5.